24" long to accommodate (4) 3 gallon bins, (4) 5 gallon bins or (2) 12 gallon bins. Strip is easy to install; peel off protective film and adhere to desired surface. Black color to blend in with most decors. 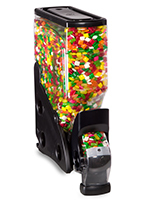 This food bin locking strip is the perfect way to keep containers and dispensers in place. 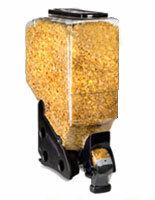 The gravity bulk bin accessory is sold separately from the gravity dispensers. 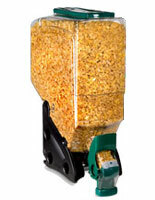 To install the bulk gravity bins, all you need is a flat surface, a food bin locking strip, and the gravity dispensers. Just peel off the protective film and adhere the strip to a clean surface. This food bin locking strip is 24" long and holds (4) 3 gallon bins, (4) 5 gallon bins, or (2) 12 gallon bins. The accessory can also be cut shorter to fit your countertop. 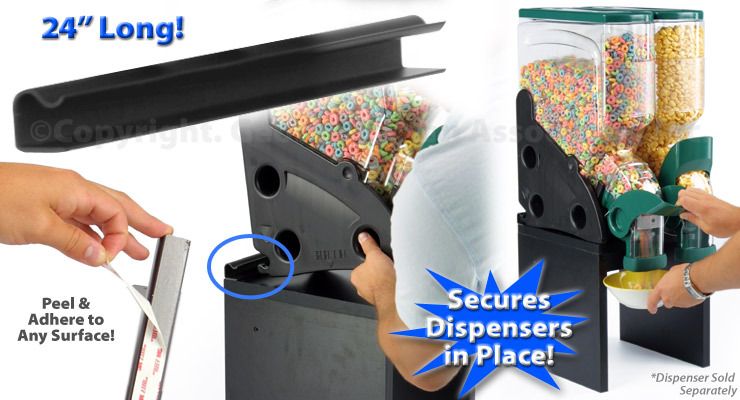 This food bin locking strip turns any shelf into a dispenser bulk food display! The restaurant tool is a necessity on counters. 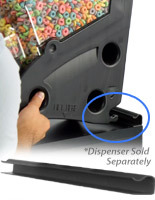 This food bin locking strip is a favorite among a variety of eateries. 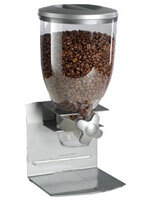 Restaurants, catering companies, bakeries, buffets, and other establishments trust this gravity container accessory. 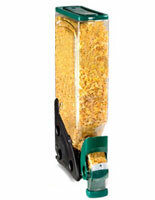 This food bin locking strip is the perfect size for latching onto the back of the container. Users can place this unit on a stand as well to secure the containers. 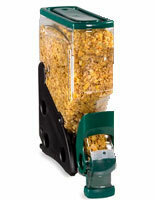 This food bin locking strip is just one of many different eatery supplies available. Customers should browse the entire section for the best solutions. This food bin locking strip is ready to ship. Please Note: This locking strip is only compatible with these gravity bins found on our website; BGB3BK, BGB3GN, BGB3LV, BGB3RD, BGB5BK, BGB5GN, BGB5LV, BGB5RD, BGB12BK, BGB12GN, BGB12LV, & BGB12RD.